The human brain may only weigh about three pounds, but its importance to the essential function of every other part of the body — and to the body as a whole — is immeasurable. A healthy brain enables us to think, feel, sense and move. But an injury to the brain can erase those basic functions in seconds. 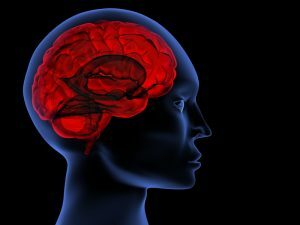 With more than 50 years of combined experience serving San Diego, the brain injury lawyers at Gilleon Law Firm are recognized by clients and the legal community alike for their skilled, successful handling of even the most complicated cases of neurological injury, including damage to the brain, its lobes and brain stem. We understand how devastating a brain injury can be and know how to fight for the fair compensation victims deserve when they suffer harm through the negligent or reckless actions of another person or entity. As the largest part of the central nervous system (CNS), the brain must function normally for us to accomplish even the smallest daily tasks, such as grasping a cup or remembering what day it is. Damage to any functional area, or lobe, of the brain results in loss of function. Severe injury to any functional area of the brain carries a greater risk of permanent disability. Located at the base of the brain, and serving as the gateway of all information to and from the body, the brain stem plays an essential role in regulating respiration, heartbeat and blood pressure. Compression or damage to the brain stem has a catastrophic impact on those functions. Injuries to the frontal lobe, brain stem or other areas of the brain are devastating for both victims and their families, often resulting in life-altering consequences. Our lawyers know the issues victims face, and we fight for the full value of the damage and the losses you or a loved one suffers. Through negotiation or litigation, we are fully prepared to pursue and protect your rights after a severe and debilitating injury caused by someone else’s negligence. The caring and compassionate attorneys at the Gilleon Law Firm deliver dedicated legal guidance and representation. Because our attorneys focus on TBI and the negligence that causes it, we understand what you face and know how to help you move forward. Located in San Diego’s Little Italy, Gilleon Law Firm offers on-site parking and is located two blocks from the Santa Fe train station. We also serve clients throughout Orange County and Los Angeles County. Our offices are accessible from both I-5 and I-8. Contact us or call our offices at 619.702.8623 to schedule a free initial consultation.